Create a Repository where our source code will sit. Cool, now we need to publish the repository to the web. 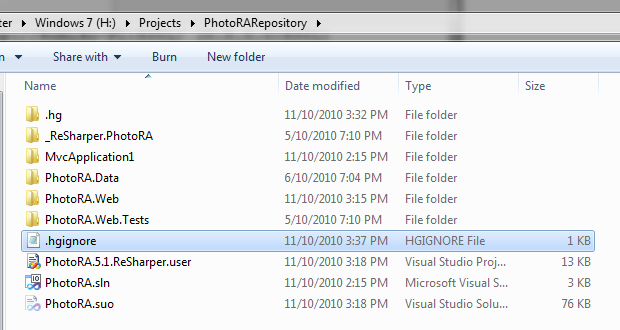 Right click the folder and go to repository explorer. Once this is done, click the Server Button! 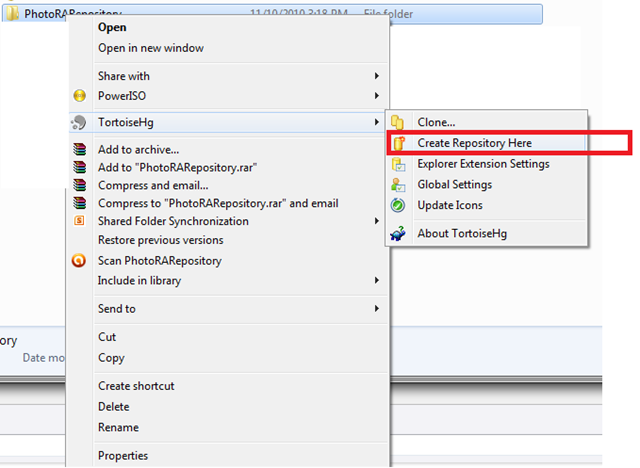 Next, you need to activate the files in the repository, by adding them, if you got existing files already in the folder! 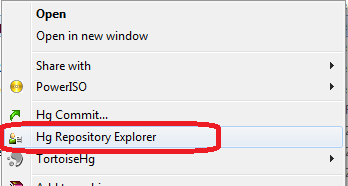 If you go back to the repository explorer the history should now be there after the commit. 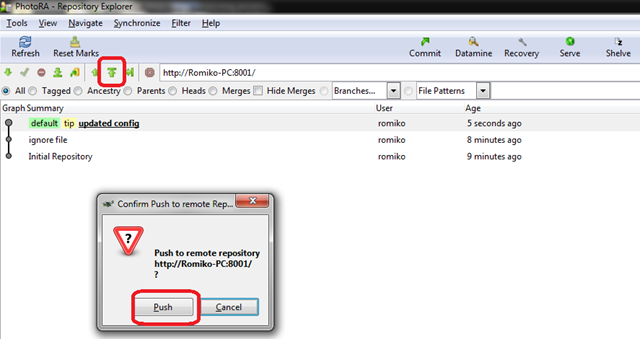 To use the repository, you need to create another folder on ALL users machines that will use the source control. To do this, they will CLONE the repository. 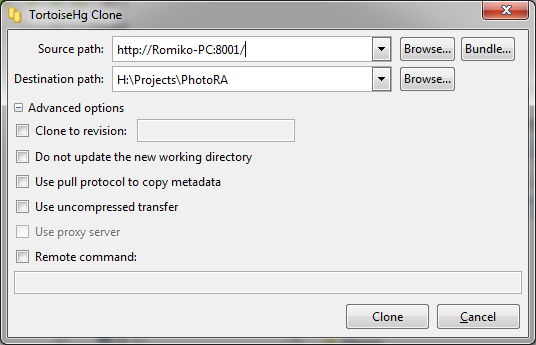 So if you are the only user of the project, you will STILL need to clone it, that means if your computer is the repository and you want to use the source control, you must also clone it. Then specify the web URL. 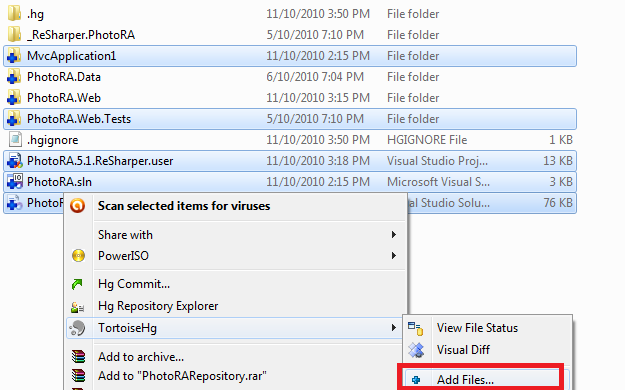 Once done, it will automatically fill the folder and you can now use Visual Studio and start coding. 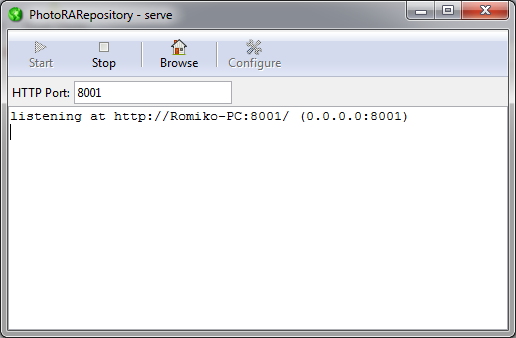 We can test this, by opening the solution editing the file and committing it to the repository. 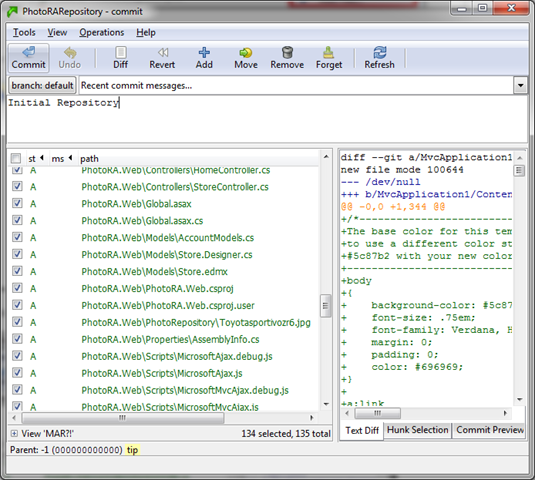 I went an updated the web.config file in my clone repository using Visual Studio. Now I right click the clone folder and commit. 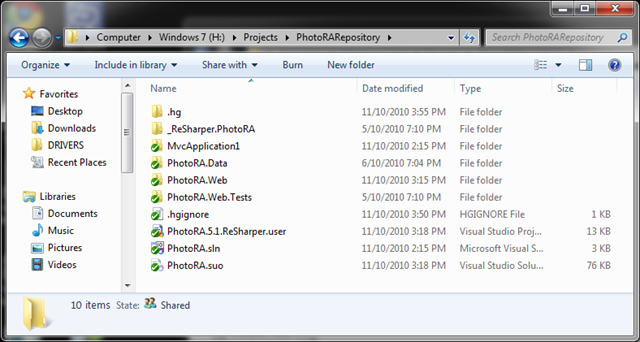 Next I right click my clone folder and select repository explorer and I see the history, I can now PUSH it up to the main repository. 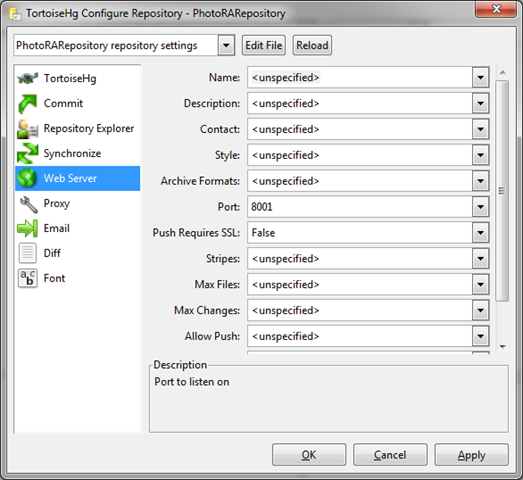 Never edit files directly in the MAIN repository!